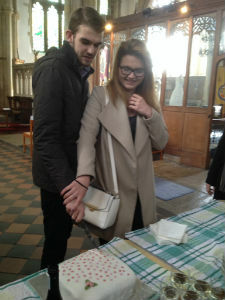 These couples came to the 10.30 service to have their engagement rings blessed as part of a weekend when they took part in the Mothers' Union marriage preparation course 'Loving for Life'. 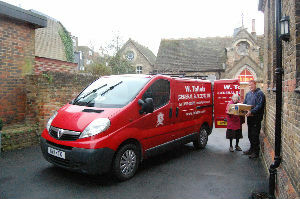 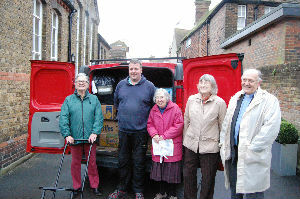 to take the boxes of clothing to Worthing. 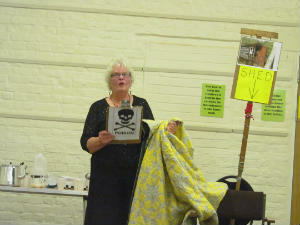 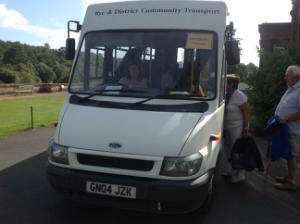 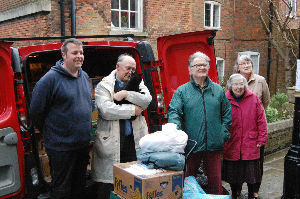 Pictured above are Jon Crafer and Janet Waddams, the local organiser of the clothing collection. 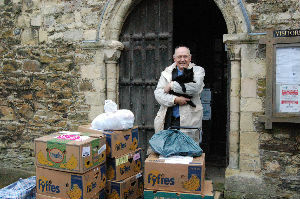 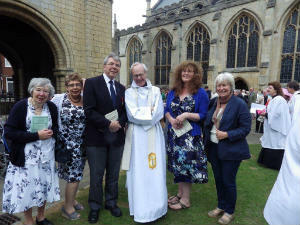 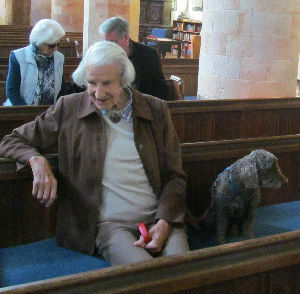 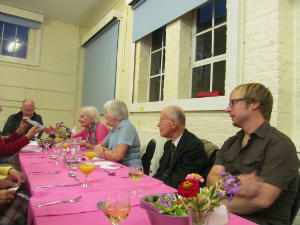 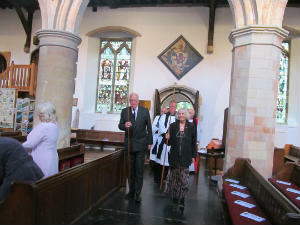 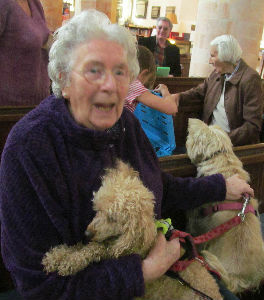 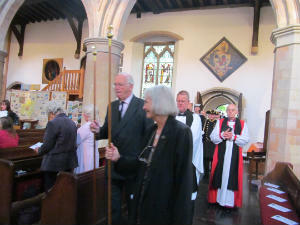 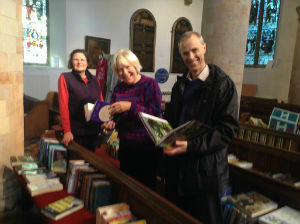 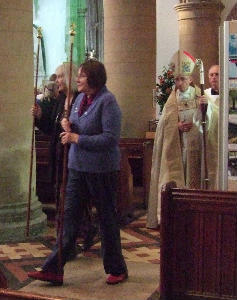 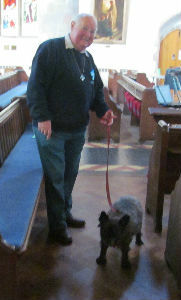 Also pictured are Canon David Frost (with the church cat) and two volunteers, Sandra & John Lanigan. 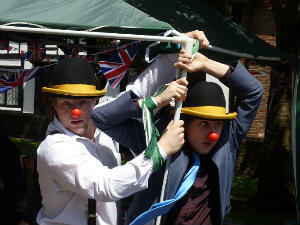 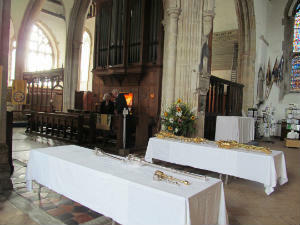 Many thanks to Sandra Lanigan and Kenneth Bird for the photos. 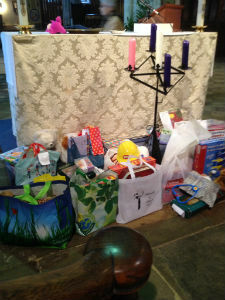 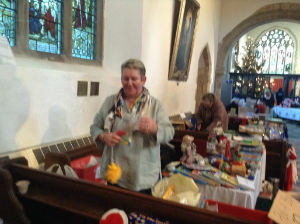 Some of the toys donated at the Annual Toy Service which will be given to Family Support Work, a church charity working with disadvantaged families in Hastings and St Leonard's on Sea. 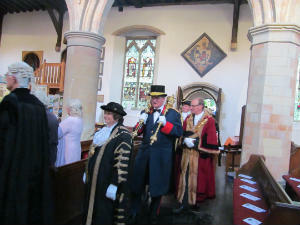 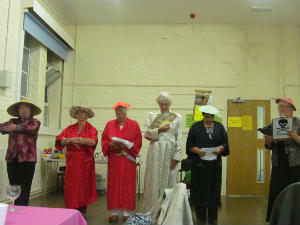 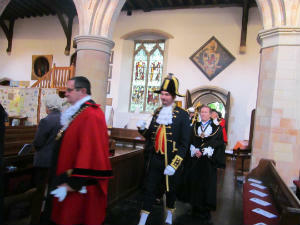 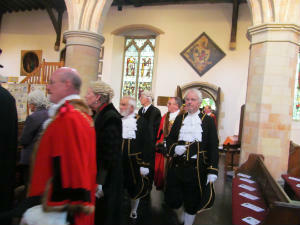 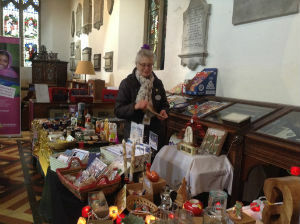 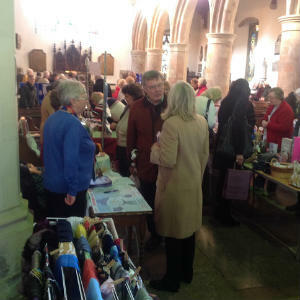 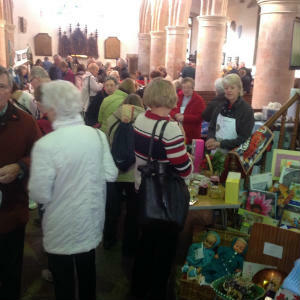 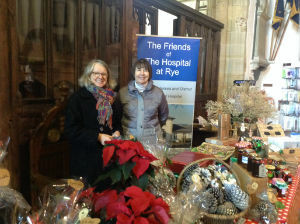 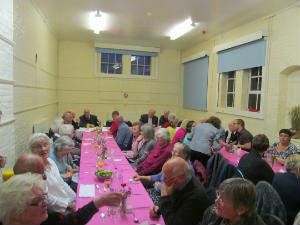 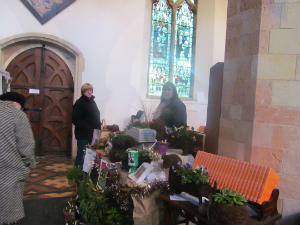 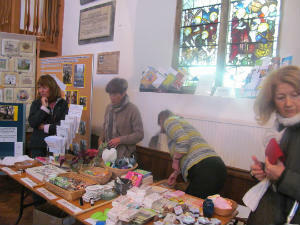 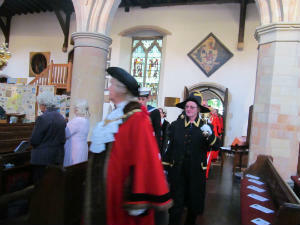 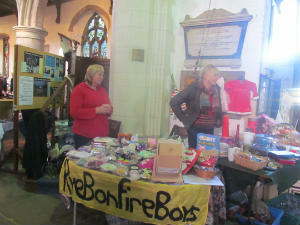 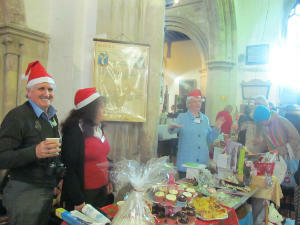 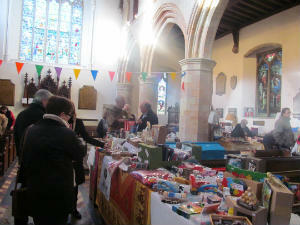 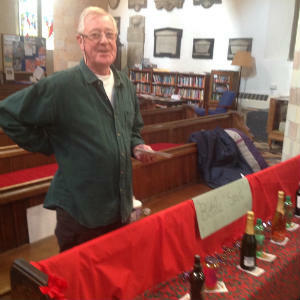 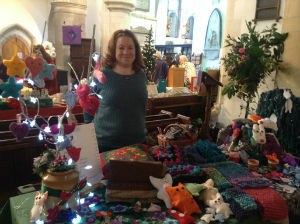 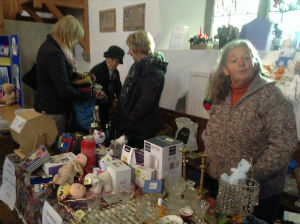 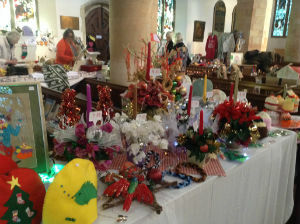 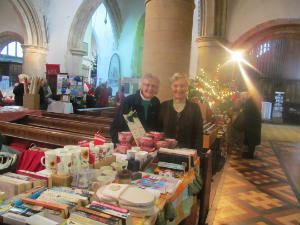 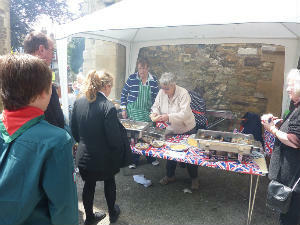 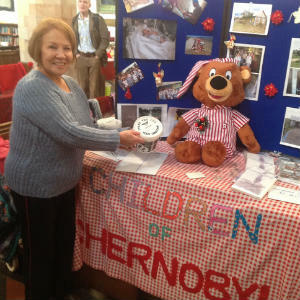 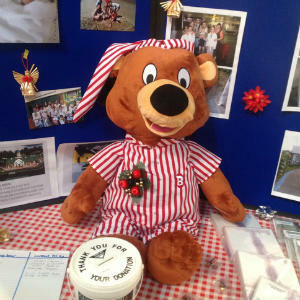 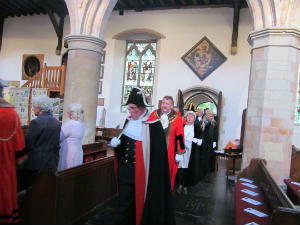 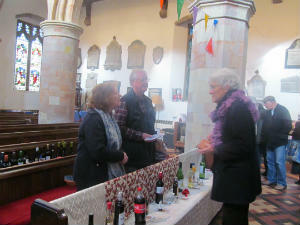 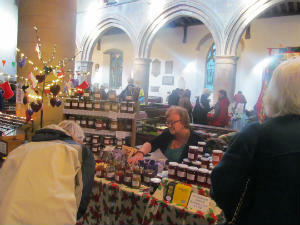 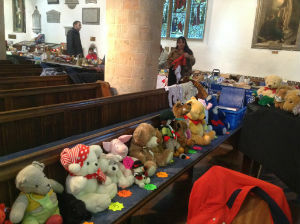 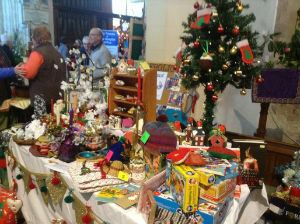 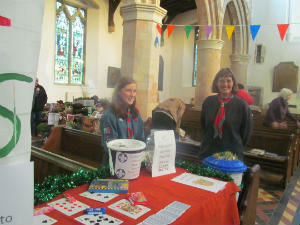 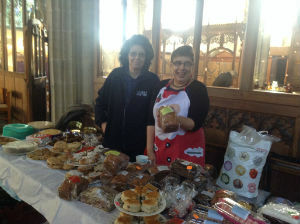 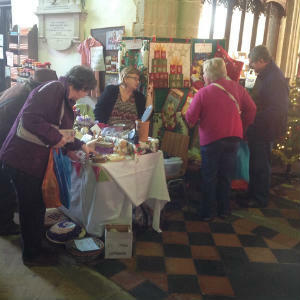 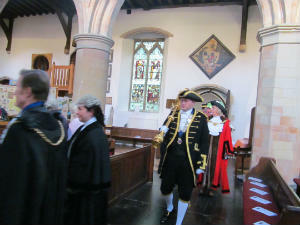 A variety of local charities and community groups were in St Mary's for the annual Charity Christmas Fair. 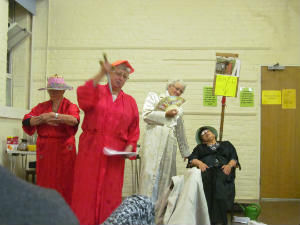 36 different groups were represented. 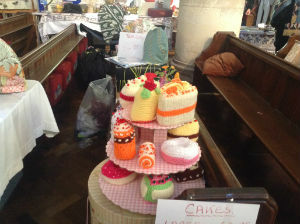 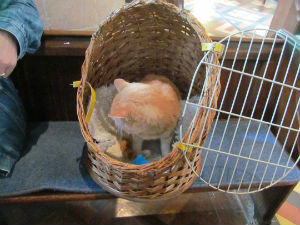 Various crafts were on sale, including some knitted cakes! 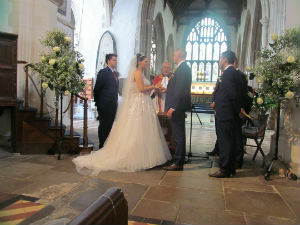 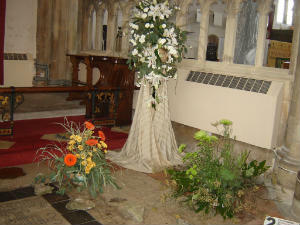 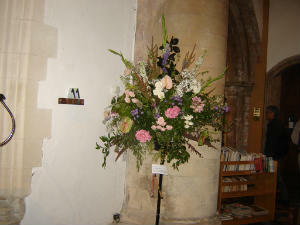 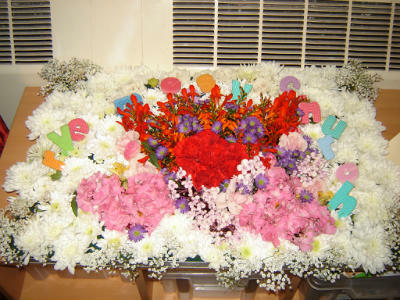 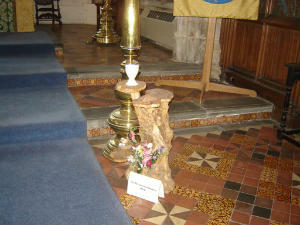 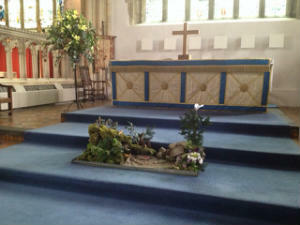 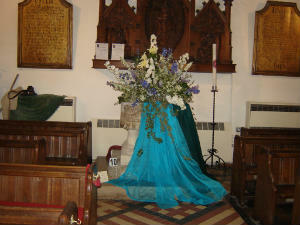 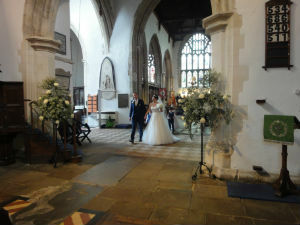 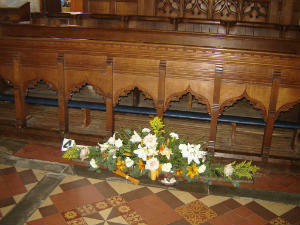 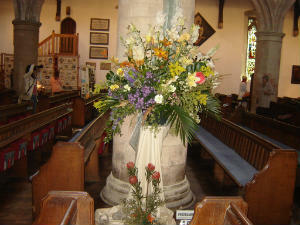 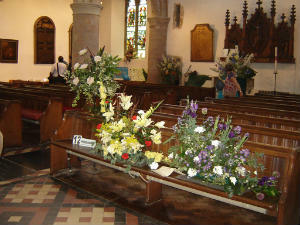 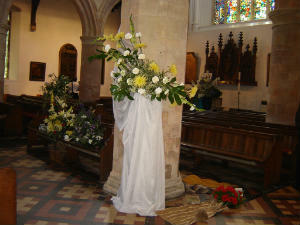 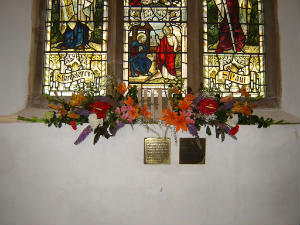 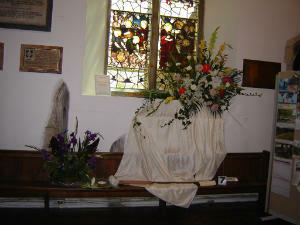 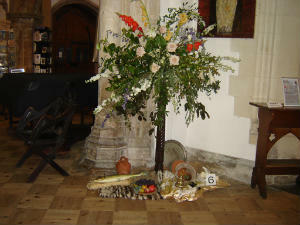 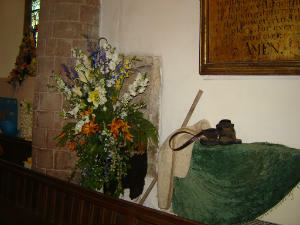 Local couple Thomas Jebb and Samantha Cook were married in St Mary's. 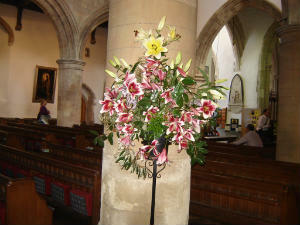 on Sunday 22nd March. 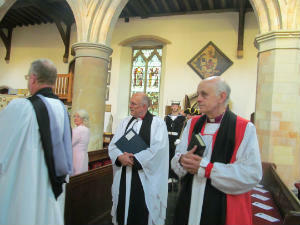 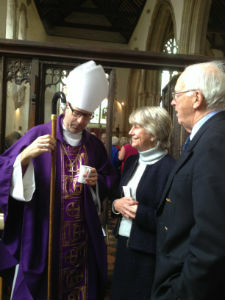 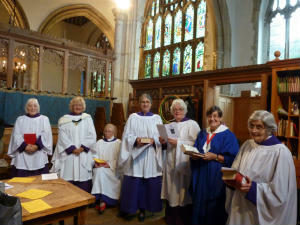 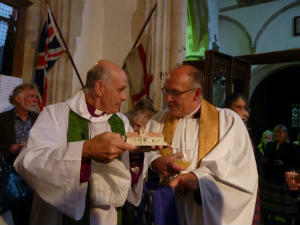 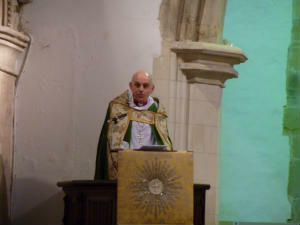 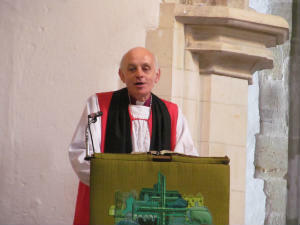 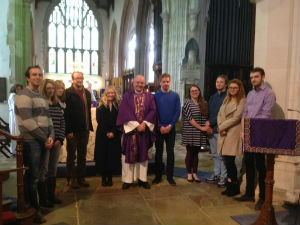 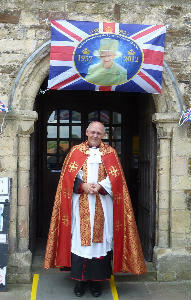 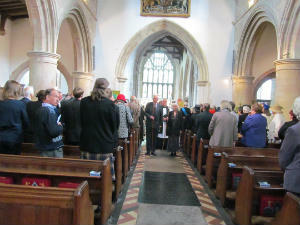 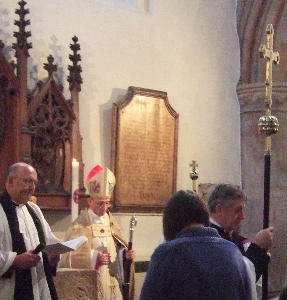 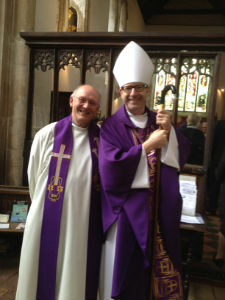 Bishop Richard presided and preached at the 10.30am service which was attended by church members from the Rye Team churches of Camber, Iden & Playden. 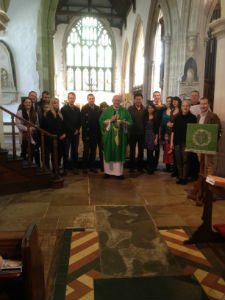 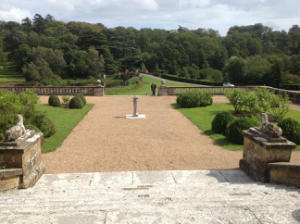 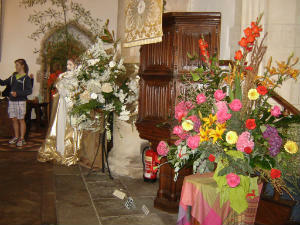 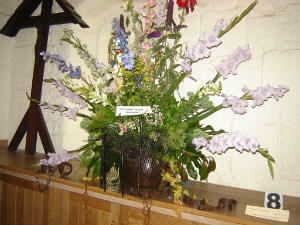 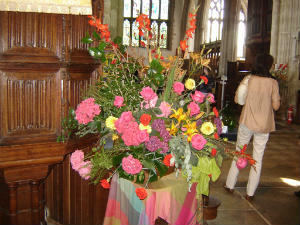 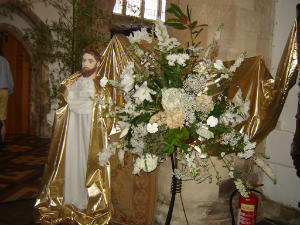 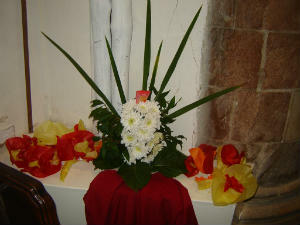 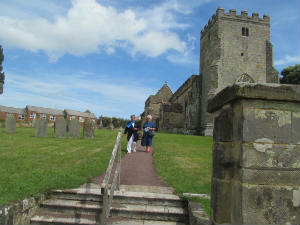 The eight couples will all be married in St Mary's before September this year. 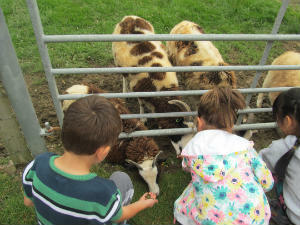 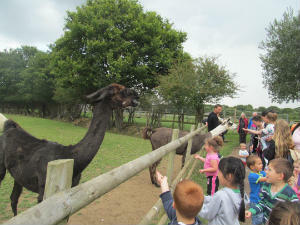 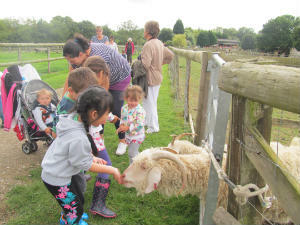 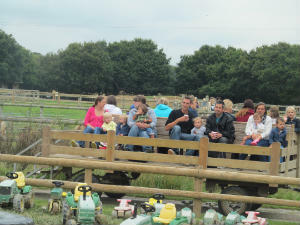 feeding the animals and playing in the 'softplay' area. 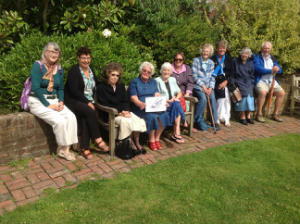 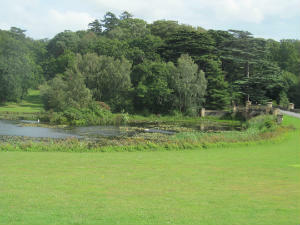 The Mothers' Union went on an outing to Ashburnham Place (www.ashburnham.org.uk) for a tour around the gardens and a cream tea in The Orangery. 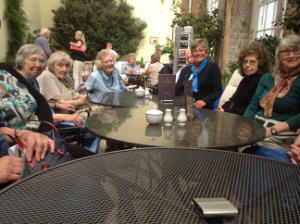 A very enjoyable afternoon was had by all. 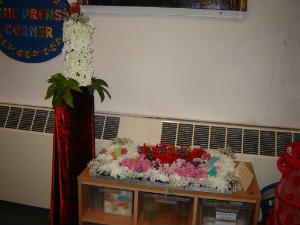 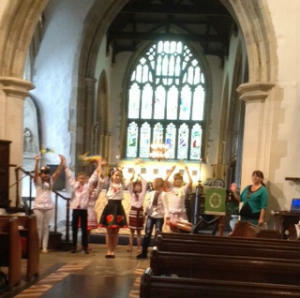 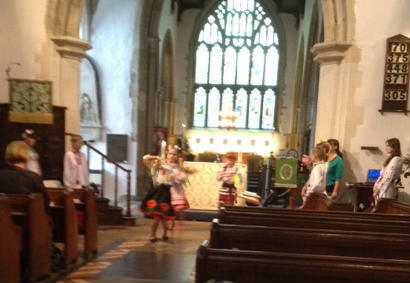 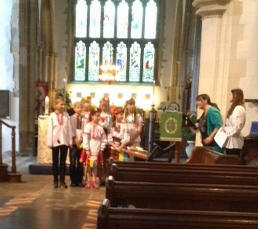 A group of children from The Ukraine visited St Mary's Family Service and danced for us. 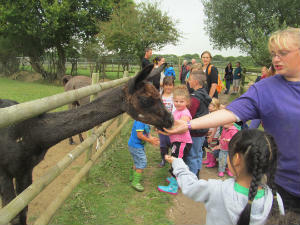 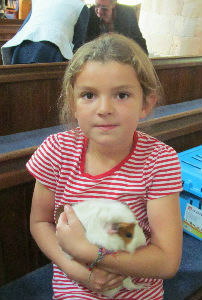 These are children affected by the Chernobyl nuclear disaster who are on a month long respite holiday in the Ashford area organised by Chernobyl Children's Lifeline charity. 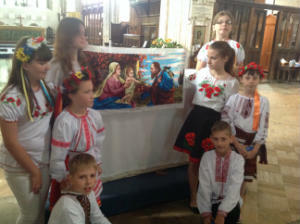 The children presented St Mary's with an embroidered picture of The Holy Family which had been stitched by one of their mothers. 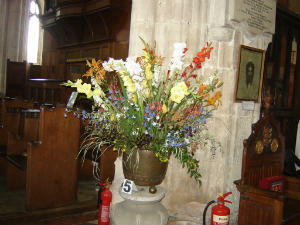 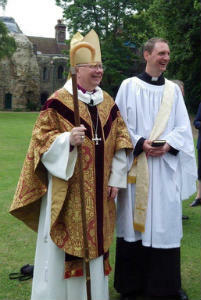 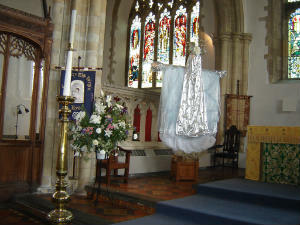 of St Edmundsbury and Ipswich. 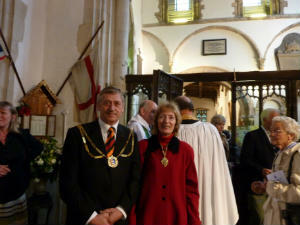 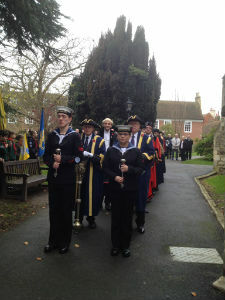 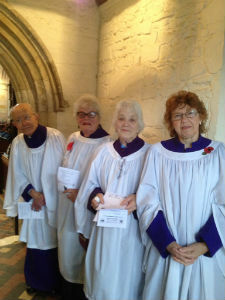 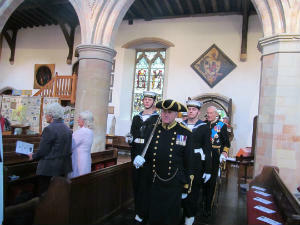 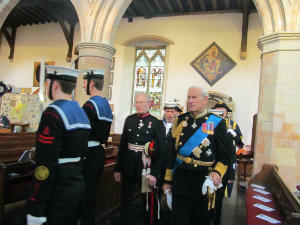 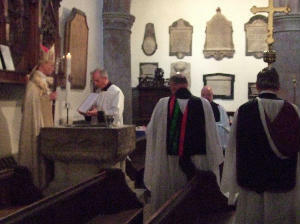 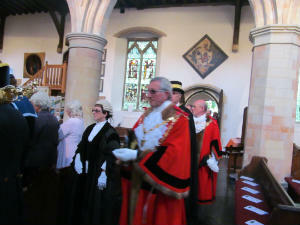 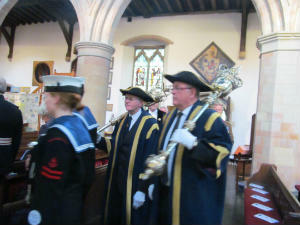 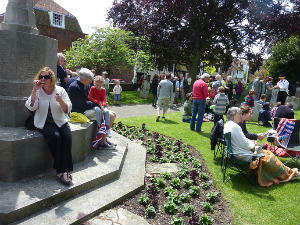 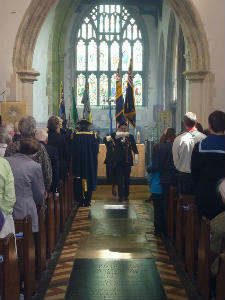 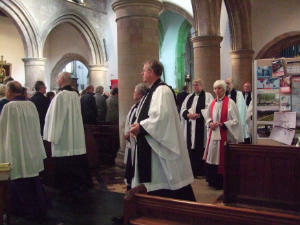 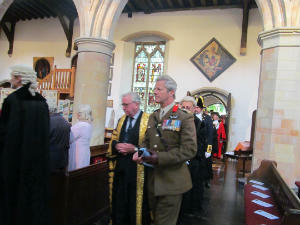 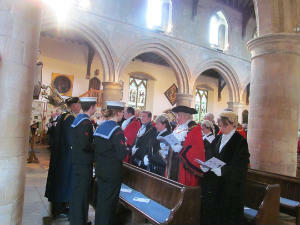 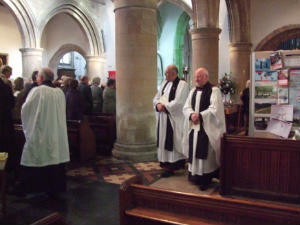 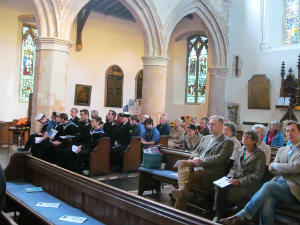 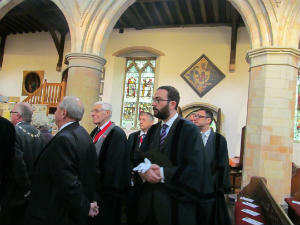 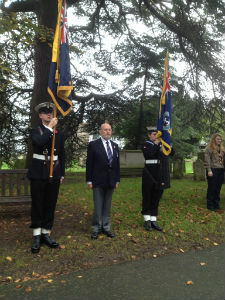 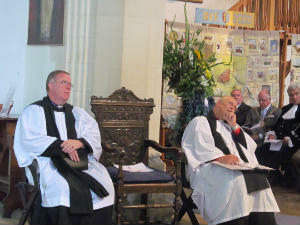 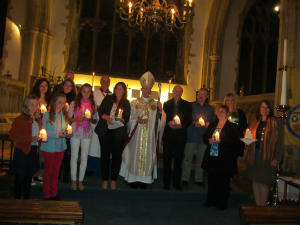 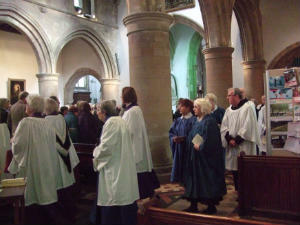 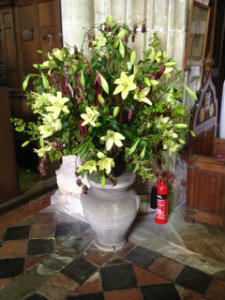 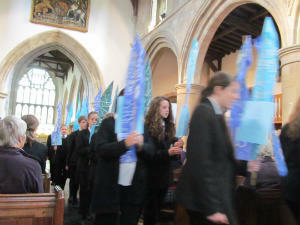 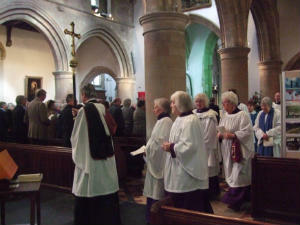 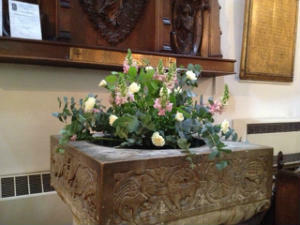 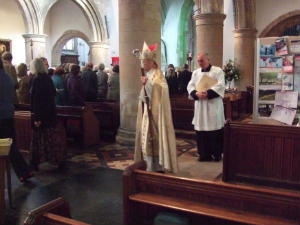 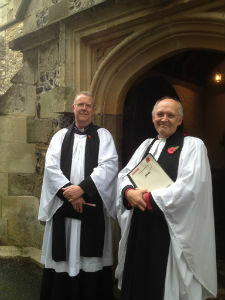 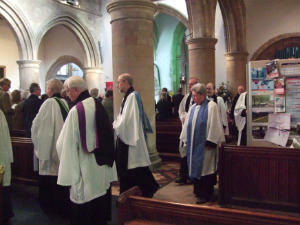 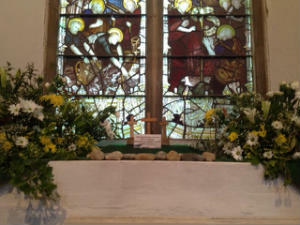 Several friends from St Mary's attended the service.